Marine Le Pen says a kippah ban in France would serve equality as Muslims have been banned from wearing burkas. Anti-Semitism pervades the right side of the French political spectrum, although the right is mainly associated with anti-migrant and anti-Islamist policies for the last few years. The president of the right wing National Front party, Marine Le Pen, whose father was an avowed anti-Semite but who had previously tried to separate herself from his reputation, has now said there should be a ban on kippah (Jewish skullcap) wearing in France. After she called for a ban on Muslims from wearing head coverings, now Le Pen is calling for a ban on kippahs in the name of equality between Muslims and Jews in the country. The National Front Party won over 20% in the last elections and its stance is anti-religious, although Muslims always were the top priority for the party's criticism. 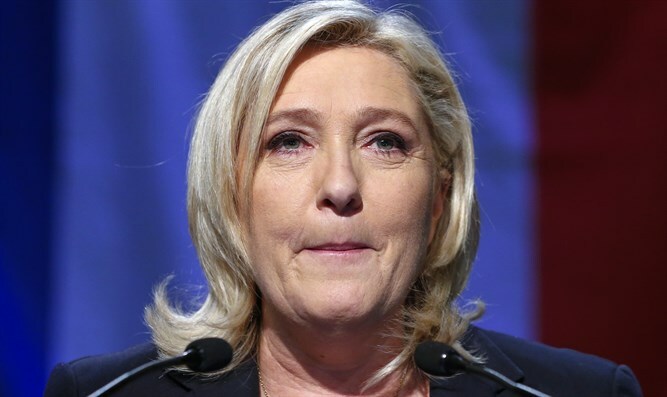 This, however, is not the first time Le Pen has expressed positions that offended Jews; previously, she called for a ban on prayer in schools and a ban on providing kosher and halal meals in schools.